We have seen the growth story of Indian Organized retail in my previous article. Today we will have a look around the TV home shopping business. 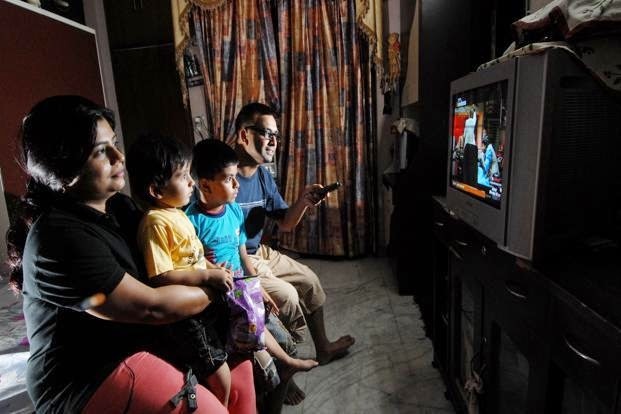 Yes , you have heard it right , many indian's are now spending more time watching TV as they are getting larger phone screens , easy availability of the Hi speed internet , where they can watch many videos as they want. So this starts the shopping habit as the watching the videos of the products online check the specification on the website and order them. 1. Easily availability of the larger screen phones with high speed internet. 2. Increase in the disposable income. 3. Womens order kitchen/household items after watching working of the product live somewhere. There are other products as well like jewellery etc. This is where the home shopping through comes into picture.We have also seen e-commerce space is always in the headlines but this industry is also seeing tremendous growth , as we see many companies including snapdeal , homeshop18 , naaptol are also entering into tv shopping domain. They are eyeing the growth in this as well. We can see the following graph how home tv shopping market size of China has grown over the years. How it has seen the growth from year 2004 to year 2011, I feel these were the years when chinese economy emerged from bottom to top. As per the data from financial experss there are also new entrants in this arena Best Deal TV, Bag It Today , Naaptol.